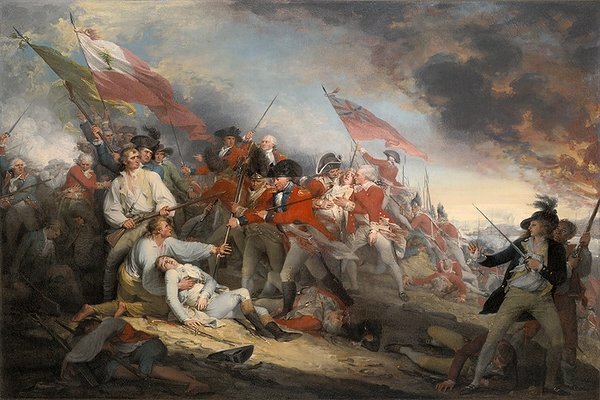 "The Battle of Bunker's Hill, June 17, 1775" depicts the death of Joseph Warren at the June 17, 1775 Battle of Bunker Hill, during the American Revolutionary War. Warren, an influential Massachusetts physician and politician, had been commissioned a general but served in the battle as a volunteer private. He was killed during or shortly after the storming of the redoubt atop Breed's Hill by British troops.